The work of McGowan Institute for Regenerative Medicine faculty member Marina Kameneva, PhD, Research Professor of Surgery at the University of Pittsburgh School of Medicine, Professor of Bioengineering, University of Pittsburgh, and Director of the Artificial Blood Program at the McGowan Institute, and colleagues recently appeared in the May 31, 2017, online issue of the publication, Oncotarget. Co-authors on the paper are Samer Tohme, Hamza O. Yazdani, Vikas Sud, Julie Goswami, Patricia Loughran, Hai Huang Richard L. Simmons, and Allan Tsung, all of the University of Pittsburgh. Introduction: Surgery, a crucial therapeutic modality in the treatment of solid tumors, can induce sterile inflammatory processes which can result in metastatic progression. Liver ischemia and reperfusion (I/R) injury, an inevitable consequence of hepatic resection of metastases, has been shown to foster hepatic capture of circulating cancer cells and accelerate metastatic growth. Efforts to reduce these negative consequences have not been thoroughly investigated. Drag reducing polymers (DRPs) are blood-soluble macromolecules that can, in nanomolar concentrations, increase tissue perfusion, decrease vascular resistance and decrease near-wall microvascular concentration of neutrophils and platelets thereby possibly reducing the inflammatory microenvironment. We hypothesize that DRP can potentially be used to ameliorate metastatic capture of tumor cells and tumor growth within the I/R liver. Methods: Experiments were performed utilizing a segmental ischemia model of mice livers. Five days prior or immediately prior to ischemia, murine colon adenocarcinoma cells (MC38) were injected into the spleen. DRP (polyethylene oxide) or a control of low-molecular-weight polyethylene glycol without drag reducing properties were administered intraperitoneally at the onset of reperfusion. Results: After three weeks from I/R, we observed that liver I/R resulted in an increased ability to capture and foster growth of circulating tumor cells; in addition, the growth of pre-existing micrometastases was accelerated three weeks later. These effects were significantly curtailed when mice were treated with DRPs at the time of I/R. Mechanistic investigations in vivo indicated that DRPs protected the livers from I/R injury as evidenced by significant decreases in hepatocellular damage, neutrophil recruitment into the liver, formation of neutrophil extracellular traps, deposition of platelets, formation of microthrombi within the liver sinusoids and release of inflammatory cytokines. Conclusions: DRPs significantly attenuated metastatic tumor development and growth. DRPs warrant further investigation as a potential treatment for liver I/R injury in the clinical setting to improve cancer-specific outcomes. Illustration: After three weeks, I/R resulted in a significant increase in gross surface metastatic nodules compared with the sham groups (mean 12 nodules in I/R versus 4 nodules in sham; p < 0.001). Oncotarget. Mucins are a family of high molecular weight, heavily glycosylated proteins (glycoconjugates) produced by epithelial tissues in most metazoans. Mucins’ key characteristics include their ability to form gels; therefore they are a key component in most gel-like secretions, serving functions that range from lubrication to cell signaling to forming chemical barriers. For example, mucin’s often serve a modulatory role by controlling mineralization and bone formation in vertebrates. Mucins bind to pathogens as part of the immune system, and overexpression of mucin proteins, especially MUC1, is associated with many types of cancer. The combination of the alcian blue and various PAS techniques can be used to distinguish neutral mucins from acid mucins. In most protocols, sections are stained with the standard alcian blue (pH 2.5) method followed by the PAS technique. The alcian blue at a pH of 2.5 will stain all acid mucins deep blue but will not color the neutral mucins. The subsequent application of the PAS technique will stain the neutral mucins bright magenta. Tissues or cells that contain both neutral and acidic mucins may show a dark blue or purple coloration. The combined application of alcian blue and PAS is useful for several reasons. Changes in the distribution or pattern of expression of neutral and acid mucins are indicative of certain pathological conditions. In addition, the combined alcian blue/PAS technique is perhaps the most sensitive or comprehensive means for detection since all mucins should react regardless of the charge nature of the mucin. You will receive 30% off your Alcian Blue or PAS staining, or both, when you mention this article any time in July. Email perezl@upmc.edu or call 412-624-5265. As always, you will receive the highest quality histology in the quickest turn-around time. Did you know the more samples you submit to the histology lab the less you pay per sample? Contact Lori to find out how! 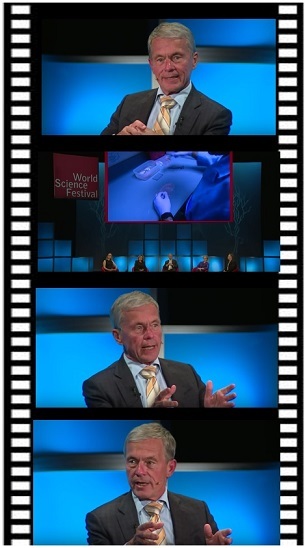 The research of McGowan Institute for Regenerative Medicine deputy director Stephen Badylak, DVM, PhD, MD, was center stage at this year’s World Science Festival held in New York City. Dr. Badylak, professor in the Department of Surgery at the University of Pittsburgh School of Medicine and director of the Center for Pre-Clinical Tissue Engineering within the Institute, participated in the panel discussion entitled “Forever Young: The Promise of Human Regeneration.” The program began with a video of Marine Sergeant Brian Smith, a clinical trial participant in the study entitled, “Musculotendinous Tissue Repair Unit and Reinforcement (MTURR).” The primary objective of the study was to assess mechanical strength and function in patients undergoing musculotendinous tissue unit repair and reinforcement with the use of biologic scaffolds for the restoration of both mechanical strength and function in these patients. The results of the study were reported in July 2016 in npj Regenerative Medicine. Along with Dr. Badylak, other panelists included Drs. Dany Spencer Adams (Tufts University), Doris Taylor (Texas Heart Institute), and Jonathan Butcher (Cornell University). The discussion, moderated by Emily Senay (Mount Sinai Hospital), focused on the ongoing research efforts of the panel members including the mass-production of synthetic blood to meet supply shortages; the “bioprinting” of livers and kidneys on demand; the use of bioelectricity to aid in the re-growth of missing fingers and toes; and, the extracellular matrix and how it promotes healing and regeneration. As noted by Ms. Senay, some technologies developed by Dr. Badylak are now being used on a regular basis to treat patients. “One of the facts that my laboratory is most proud of isn’t the number of publications and grants, it’s the number of patents that have been treated by what was started in our lab. So, we’ve got between 8 and 10 million patients that have been treated with extracellular matrix scaffold, but most of them are for rather ordinary, everyday things, for instance hernia repair. Instead of using a synthetic mesh made from polypropylene you would make it out of extracellular matrix, and these are used now. Twenty years ago, these sorts of scaffold materials did not exist,” explained Dr. Badylak. As noted during the lively and informative discussion, regenerative medicine promises to do more than just treat disease, injuries, or congenital conditions. It holds the potential to rejuvenate, heal, or completely replace damaged tissue and organs. If successful, regenerative medicine will have immense impact on how we care for the injured, sick, and aging — and how we think about death. This program explored mind-boggling medical advances as well as the societal and economic implications of a future in which everybody may truly be forever young. The World Science Festival gathers great minds in science and the arts to produce live and digital content that allows a broad general audience to engage with scientific discoveries. Through discussions, debates, theatrical works, interactive explorations, musical performances, intimate salons, and major outdoor experiences, the Festival takes science out of the laboratory and into the streets, parks, museums, galleries, and premier performing arts venues of New York City and beyond. The event has been hailed a “new cultural institution” by The New York Times. The annual live, week-long New York Festivals, which launched in 2008, have collectively drawn more than a million and a half visitors, with millions more viewing the programs online. The World Science Festival’s original musical and theatrical works tour nationally and internationally, and March 2016 marked the launch of World Science Festival Brisbane. World Science U is the Foundation’s online education arm where students and lifelong learners can dive more deeply through artfully produced digital education content presented by world-renowned scientists. The World Science Festival is a production of the World Science Foundation, a 501(c)(3) non-profit organization headquartered in New York City. Illustration: Forever Young: The Promise of Human Regeneration. The work of McGowan Institute for Regenerative Medicine director William Wagner, PhD, and colleagues is featured on the cover of the May 15, 2017, issue of the publication, Journal of Surgical Research. 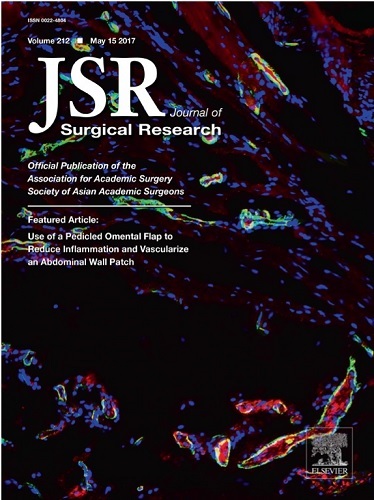 The corresponding article is entitled “Use of a pedicled omental flap to reduce inflammation and vascularize an abdominal wall patch.” The co-authors are Takafumi Uchibori, MD; Keisuke Takanari, MD, PhD; Ryotaro Hashizume, MD, PhD; Nicholas J. Amoroso, PhD; and Yuzuru Kamei, MD, PhD. Background: Although a variety of synthetic materials have been used to reconstruct tissue defects, these materials are associated with complications such as seromas, fistulas, chronic patient discomfort, and surgical site infection. While alternative, degradable materials that facilitate tissue growth have been examined. These materials can still trigger a foreign body inflammatory response that can lead to complications and discomfort. Materials and methods: In this report, our objective was to determine the effect of placing a pedicled omental flap under a biodegradable, microfibrous polyurethane scaffold serving as a full-wall thickness replacement of the rat abdominal wall. It was hypothesized that the presence of the omental tissue would stimulate greater vascularization of the scaffold and act to reduce markers of elevated inflammation in the patch vicinity. For control purposes, a polydimethylsiloxane sheet was placed as a barrier between the omental tissue and the overlying microfibrous scaffold. Both groups were sacrificed 8 weeks after the implantation, and immunohistological and reverse transcription polymerase chain reaction (RT-PCR) assessments were performed. Results: The data showed omental tissue placement to be associated with increased vascularization, a greater local M2/M1 macrophage phenotype response, and mRNA levels reduced for inflammatory markers but increased for angiogenic and anti-inflammatory factors. Conclusions: From a clinical perspective, the familiarity with utilizing omental flaps for an improved healing response and infection resistance should naturally be considered as new tissue engineering approaches that are translated to tissue beds where omental flap application is practical. This report provides data in support of this concept in a small animal model. The journal cover photo caption reads: Border between scaffold and omentum. Immunostaining for von Willebrand factor (vWF; red), alpha-smooth muscle actin (SMA; green), and Hoechst (blue) for samples from the omentum 8-wk group. Scale bars = 100 μm. The first known identification of two genes responsible for hypoplastic left heart syndrome (HLHS), a severe congenital heart defect, has been reported by researchers at the University of Pittsburgh School of Medicine. The findings are published today in the journal Nature Genetics. McGowan Institute for Regenerative Medicine affiliated faculty member Simon Watkins, PhD, Founder and Director of the Center for Biologic Imaging at the University of Pittsburgh, a member of the Pittsburgh Cancer Institute, and a Professor and Vice Chairman within the Department of Cell Biology, is a co-author on the study. Congenital heart disease, or structural abnormalities in the heart that are present at birth, affect up to 1 percent of all live births. HLHS is a rare congenital heart disease where the left side of the heart is poorly developed, resulting in an inability to effectively pump blood to the rest of the body. It occurs in about 2 to 3 of every 10,000 live births in the United States, and is fatal if left untreated. Current treatment for HLHS involves multiple complex surgeries in the first few years of a child’s life, and while effective in many patients, it does not improve heart function in many others. In those individuals, heart failure ensues and heart transplantation is required. The 5-year survival rate for HLHS patients is approximately 50 to 70 percent. Though genetic risk factors are known to play a role in HLHS, specific genes have been hard to identify. Lo and her team used fetal ultrasound imaging to screen mice with experimentally induced mutations, looking for structural heart defects. From this screen, they recovered eight different mouse strains with structural and functional heart defects indicative of HLHS. By comparing the genome of mice with the HLHS heart defects to the genome of normal mice, Lo and her team identified several hundred mutations in the HLHS mutant strains. Further analysis of these mutant mice indicated the genetic origins of HLHS likely involve many interacting genes. The relevance of these mutations was reinforced by the fact that many also were found in the same chromosomal regions previously shown to be associated with HLHS from human genetic studies. Using CRISPR-Cas9 gene editing in mice, the researchers confirmed that mutations in these two genes can cause HLHS. Additionally, they sequenced 68 HLHS patient samples and found one individual with rare mutations in both SAP130 and PCDHA genes. Molecular analysis showed that heart cells in affected animals were poorly developed and had mitochondrial defects, indicating that Sap130–Pcdha9 gene interactions play a crucial role not only in heart development but also in regulating metabolic function of the cardiac muscle. These findings suggest HLHS may be associated with a fundamental cellular defect in the heart muscle that can compromise blood flow in patients. This has important therapeutic implications, as surgical repair will not be able to address the cellular muscle defect in HLHS patients, noted Lo. The researchers are investigating other mutations identified through the genetic screen and plan to undertake more genetic analysis of HLHS patients to better understand the molecular and genetic factors that cause the disease. Other study authors included researchers from Pitt, The Jackson Laboratory, University of Rochester School of Medicine and Dentistry, Cincinnati Children’s Hospital Medical Center, Children’s National Medical Center, Boston Children’s Hospital, University of San Diego School of Medicine, and Medical College of Wisconsin. 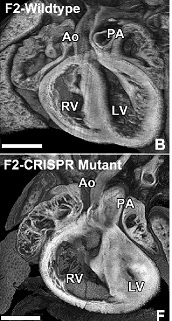 Illustration: Heart of CRISPR gene edited mice with HLHS (bottom) have a much smaller left ventricle (LV) compared to a normal mouse heart (top). Right ventricle (RV), Aorta (AO). Lo, et al. While the proportion of adults with severe obesity using prescription opioids initially declines in the months after bariatric surgery, it increases within a matter of years, eventually surpassing pre-surgery rates of patients using the potentially addictive pain medications, according to new research from a National Institutes of Health (NIH)-funded multicenter study led by the University of Pittsburgh Graduate School of Public Health. McGowan Institute for Regenerative Medicine affiliated faculty member Steven Belle, PhD, MScHyg, Professor in the Department of Epidemiology, Graduate School of Public Health at the University of Pittsburgh, and a Co-Director in the Epidemiology Data Center in the Graduate School of Public Health, is a co-author on the study. The findings—which come from one of the largest, longest-running studies of adults who underwent weight-loss surgery—indicate that improvements in obesity-related pain gained through bariatric surgery are not sufficient to counter the need for pain relief in the years following the procedure. Results are reported in Surgery for Obesity and Related Diseases, the journal of the American Society for Metabolic and Bariatric Surgery. The U.S. Centers for Disease Control and Prevention recently presented an evidence-based guideline stating that opioids should not routinely be used to manage chronic pain. 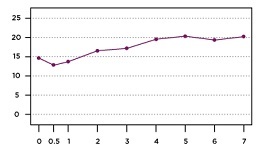 Starting in 2006, Dr. King and her colleagues followed more than 2,000 patients participating in the NIH-funded Longitudinal Assessment of Bariatric Surgery-2 (LABS-2), a prospective observational study of patients undergoing weight-loss surgery at one of 10 hospitals across the United States. About 70 percent of the patients underwent Roux-en-Y gastric bypass (RYGB), a surgical procedure that significantly reduces the size of the stomach and changes connections with the small intestine. The majority of the remaining participants had a less invasive procedure, laparoscopic adjustable gastric banding, where the surgeon inserts an adjustable band around the patient’s stomach, lessening the amount of food the stomach can hold. Before surgery, 14.7 percent of the participants reported regularly taking a prescription opioid. Six months after surgery the prevalence decreased to 12.9 percent, but then it rebounded, progressing to 20.3 percent of participants regularly taking opioids seven years after surgery. Among participants who were not taking opioids at the time of surgery, rates increased from 5.8 percent six months after surgery to 14.2 percent seven years later. Hydrocodone was by far the most commonly reported opioid medication, followed by Tramadol and Oxycodone. There also was an increase over time in the use of medications typically prescribed for opioid dependence, although use of such medications remained rare, with less than 2 percent of patients using them through the years of follow-up. Recently, Dr. King and her colleagues reported that undergoing RYGB, compared to gastric banding, was related to increased risk of alcohol use disorder, illicit drug use, and treatment for substance use disorder following surgery. However, in this study, the risk of starting or continuing opioid use post-surgery did not differ by surgical procedure. Most factors related to substance use disorder that were examined—such as gender, age, income, social support, mental health, smoking, alcohol consumption, and illicit drug use—were not related to continued or post-surgery opioid use. However, more pain before surgery, worsening or less of an improvement in pain following surgery, and starting or continuing non-opioid pain-killers were each associated with a higher risk of continuing or starting opioid use after surgery. Some researchers have hypothesized that opioid use increases following bariatric surgery due to discontinuation of non-steroidal anti-inflammatory drugs (NSAIDs), such as ibuprofen, which are contraindicated post-surgery. However, Dr. King and her colleagues found that starting NSAIDs post-surgery was associated with a higher risk of also starting to take opioids, while stopping NSAIDs was associated with lower risk of taking opioids. Illustration: Opioid use gradually increases following bariatric surgery, until 1 in 5 patients are using prescription opioids. Nicole Santo/UPMC. The Musculoskeletal Transplant Foundation (MTF) has chosen Abhijit Roy, PhD, a Research Assistant Professor in the University of Pittsburgh Department of Bioengineering, as a recipient of its Junior Investigator Award to help fund his research into a novel bone graft with the potential for complete bone generation in areas with defects. Beginning in July 2017, Dr. Roy will receive $100,000 over 1 year for his study “Novel Mg Alloy Based Biodegradable Porous Scaffolds for Bone Regeneration of Critical Sized Cranial Bone Defects.” The research will be carried out in the group of Prashant Kumta, PhD, the Edward R. Weidlein Chair Professor in the Swanson School of Engineering and School of Dental Medicine. Dr. Kumta will serve as coinvestigator on the study along with Vijay Gorantla, MD, PhD, assistant professor of plastic surgery at Pitt, and MaCalus Hogan, MD, assistant professor of orthopaedic surgery at Pitt. Drs. Kumta, Gorantla, and Hogan are McGowan Institute for Regenerative Medicine affiliated faculty members. The MTF Junior Investigator Award is for researchers attempting to advance allografts, the science of transplantation, and the biological reconstruction of musculoskeletal tissues. Allografts, a type of non-synthetic graft, come from donors other than the patient. They can lead to complications from adverse immune response and the risk of disease transmission. Autografts, non-synthetic grafts taken from the patient’s own tissue, usually require a second surgical site and can increase the risk for infection, require extended operating room and recovery times, and increase healthcare expenditures. According to MTF, many doctors prefer allografts over autografts because of their availability, safety, and readiness for use. However, in both allografts and autografts, the amount of tissue that can be harvested is limited. Synthetic bone graft substitutes offer new therapy options for the treatment of bone defects without the complications associated with non-synthetic grafts. 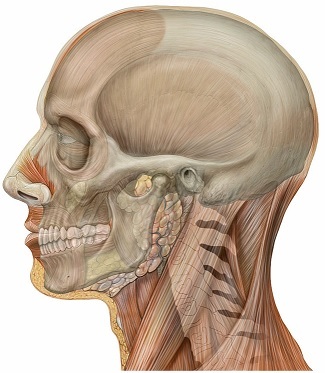 Illustration: Head anatomy lateral view with skull. Patrick J. Lynch, medical illustrator. Wikipedia. Sepsis—a condition that arises when the body’s response to an infection injures its own tissues and organs—is the No. 1 killer of hospital patients, and more than 1 in 5 do not survive. At least 1.5 million sepsis cases occur in the U.S. annually. 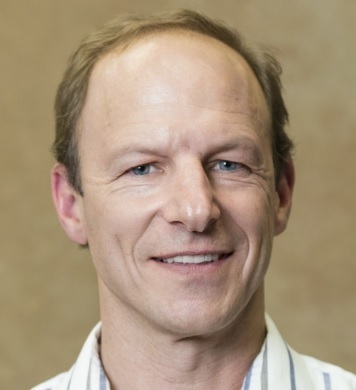 Derek Angus, MD, MPH, chair of the Department of Critical Care Medicine at the University of Pittsburgh and UPMC and an affiliated faculty member of the McGowan Institute of Regenerative Medicine, has been deeply involved in global efforts to improve sepsis diagnosis and treatment. He served as chair of the International Sepsis Forum for the last 2 years. In that capacity, he was on the council of the Global Sepsis Alliance, which was the organization that proposed this recommendation to the WHO. Along with Christopher Seymour, MD, MSc, assistant professor in Pitt’s departments of Critical Care Medicine and Emergency Medicine, Dr. Angus has several on-going research efforts helping to try to promote the best sepsis care not only in the U.S., but in less well-resourced, lower-income countries. “As an organization interested in improving sepsis care—both for our patients at UPMC and for all patients through our research at Pitt—we can certainly generally applaud, endorse, welcome this resolution,” said Dr. Angus, also director of Pitt’s Clinical Research Investigation and Systems Modeling of Acute Illness Center. Q: What is the significance of the WHO setting this global priority? A: WHO has a very deliberative process to try to ensure that governments around the world can be asked to engage in a focused way on particularly pressing problems. That sepsis per se, and not specific infectious challenges, should be seen as reaching this threshold emphasizes the magnitude and importance of this global problem. Q: Please explain the background that led to this decision. A: Sepsis is incredibly common, a source of great mortality and morbidity, and yet potentially amenable to a number of corrective actions. None of these happen without raised awareness and attention. Furthermore, sepsis ravages all societies and all age groups. The agenda that ensues from this attention-raising has implications both of basic health care delivery systems, focusing on ‘doing simple things well,’ and for researchers in academia and industry, focusing on harnessing advances in biomedical science to improve diagnostics and implement better tailored precision therapies to support the immune system, combat highly resistant bacteria, advance the provision of effective, safe organ support for vital failing organs, etc. Q: How is sepsis a different problem in third world countries compared to the U.S.? A: Sepsis disproportionately affects vulnerable populations, like the very young, the very old, and the poor. Lower middle income countries have less infrastructure to deliver timely therapies, less monitoring capacity, less acute care delivery capacity, etc., and all of this is magnified in a setting with more poverty. In addition, sepsis is more common in settings of malnutrition, poor sanitation, and where there are endemic infectious disease problems—for example, bacterial sepsis can be more severe in patients with a history of malaria. Q: How does recent research conducted by Pitt physician-scientists (Redefining sepsis, PRISM meta-analysis, Rory’s Regulations analysis, among others) support and fit into this recommendation? A: It aligns perfectly. Our epidemiologic and health services research focuses on ‘doing the simple things well’ in both rich and austere settings; our translational research on better patient phenotyping and more sophisticated manipulation of the body’s immune system, as well as better monitoring and care of vital organ dysfunction, is relevant too, because even when ‘current’ care is delivered optimally, as many as 1 in 4 patients still die. Thus, we need to not only ensure everyone gets the best version of today’s care, but we also need to keep an eye on how to deliver better care tomorrow. The McGowan Institute for Regenerative Medicine held its fourth annual Regenerative Medicine Summer School 2017 the week of June 4, 2017. The Summer School week, endorsed by the Society for Biomaterials and the Tissue Engineering and Regenerative Medicine International Society (TERMIS), was initiated and led by McGowan Institute faculty member Bryan Brown, PhD, Assistant Professor with the Department of Bioengineering at the University of Pittsburgh with a secondary appointment in Pitt’s Department of Obstetrics, Gynecology and Reproductive Sciences. Dr. Brown is also the Building Interdisciplinary Research Careers in Women’s Health Scholar (NIH K12), Magee Women’s Research Institute at the University of Pittsburgh, and an Adjunct Assistant Professor, Department of Clinical Sciences, College of Veterinary Medicine at Cornell University. The Summer School aimed to provide national and regional students with a week-long didactic and experiential learning experience addressing the science and engineering related to the multidisciplinary field of regenerative medicine. The students came from 9 different states and the countries of Lithuania, Columbia, and Germany. Lorenzo Soletti, PhD, MBA: Innovation in Medtech: My Experience with Neograft, Inc.
Students experienced the laboratories of Drs. Phillippi, Badylak, Brown, and Tuan. In addition, they experienced an introduction to the Artificial Heart Program (hosted by Douglas Lohmann, MEng) and the Center for Biological Imaging (Donna Stolz, PhD, host). The students also enjoyed an evening at PNC Park and an afternoon at the Carnegie Museum of Art and History. See pictures of the program on the McGowan Institute for Regenerative Medicine Facebook Page. 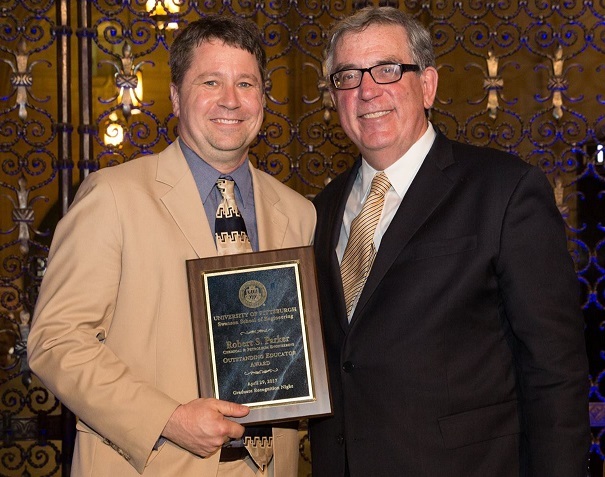 McGowan Institute for Regenerative Medicine affiliated faculty members Harvey Borovetz, PhD, and Robert Parker, PhD, were recently honored with University of Pittsburgh Swanson School of Engineering Awards. 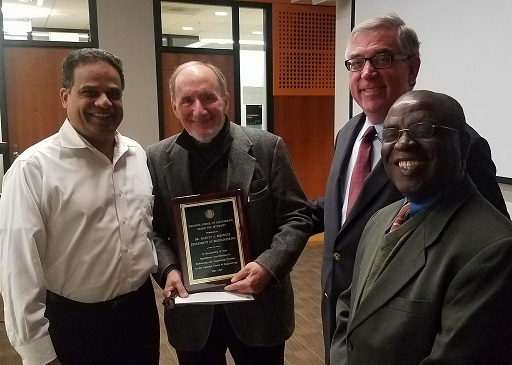 Dr. Borovetz was honored with the 2017 Swanson School of Engineering Diversity Award for his significant contributions in enhancing and supporting the school’s diversity priorities. 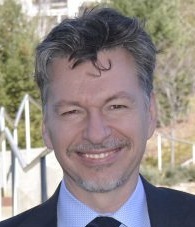 Dr. Borovetz is a Distinguished Professor and former Chair (2002-2013) in the Department of Bioengineering, Swanson School of Engineering at the University of Pittsburgh, the Robert L. Hardesty Professor in the Department of Surgery, University of Pittsburgh School of Medicine, a Professor of Chemical and Petroleum Engineering, a Professor – Clinical and Translational Science Institute, a University Honors College Faculty Fellow, and within the McGowan Institute, Dr. Borovetz holds the position of Deputy Director of Artificial Organs and Medical Devices. Dr. Borovetz is pictured with Dean Holder along with Department of Bioengineering Chair Sanjeev Shroff and Associate Dean Sylvanus Wosu. Dr. Parker was honored with the 2017 Swanson School of Engineering Outstanding Educator Award for his stunning teaching scores this past year including a 4.75 OTE score for ChemE 0500, his extreme dedication to his students as evidenced by numerous glowing letters, and his pioneering work to establish the new “Engineering a Craft Brewery” course for our seniors. Dr. Parker is a Full Professor in the Department of Chemical and Petroleum Engineering at the Swanson School of Engineering at the University of Pittsburgh, a Member of the Molecular Therapeutics/Drug Discovery Program at the University of Pittsburgh Cancer Institute, and a Member of the Clinical Research, Investigation, and Systems Modeling of Acute Illness (CRISMA) Center in the Department of Critical Care Medicine at the University of Pittsburgh. Dr. Parker is pictured with Dean Holder. Congratulations, Drs. Borovetz and Parker! McGowan Institute for Regenerative Medicine affiliated faculty member David Brienza, PhD, professor and associate dean of research in the School of Health and Rehabilitation Sciences, University of Pittsburgh, received the National Pressure Ulcer Advisor Panel’s (NPUAP’s) Kosiak Award for his significant contributions to the prevention and/or management of pressure injuries. Dr. Brienza is a leader in the wound care provider community and received the award at NPUAP’s 2017 Biennial Conference in New Orleans. Dr. Brienza is an electrical engineer that has been investigating, developing, and evaluating technology for mobility (wheelchairs) and tissue integrity management (seat cushions and mattresses) for the last 28 years. He has served as the Director of the Rehabilitation Engineering Research Center (RERC) on Wheeled Mobility (2001-2004), Director of the RERC on Telerehabilitation (2004-2015), and Director of the RERC on Spinal Cord Injury (2007-2013). Dr. Brienza has an extensive record of federal funding and publication in the area of rehabilitation technology. The scope of his work ranges from technology development in the seating and mobility, to investigations on the physiological responses to mechanical and heat loading, to clinical effectiveness research in the form of large-scale RCTs. He is the inventor on seven patents related to technology for people with disabilities. At the recently held International Society of Arthroscopy, Knee Surgery and Orthopaedic Sports Medicine Congress in Shanghai, China, McGowan Institute for Regenerative Medicine faculty member Freddie Fu, MD, DSc(Hon), DPs(Hon), received the Chinese Sports Medicine Outstanding Contribution Award. Dr. Fu is the first-ever recipient of the award. Dr. Freddie Fu is a Distinguished Service Professor and the David Silver Professor of Orthopaedic Surgery and Chairman of the Department of Orthopaedic Surgery at the University of Pittsburgh School of Medicine and University of Pittsburgh Medical Center. 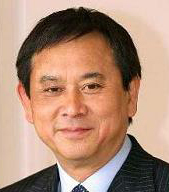 Dr. Fu is the head team physician for the University of Pittsburgh Department of Athletics (since 1986). He also holds secondary appointments at Pitt as a Professor of Physical Therapy, School of Health and Rehabilitation Sciences, Professor of Health and Physical Activity, School of Education, and Professor of Mechanical Engineering & Materials Science, Swanson School of Engineering. Dr. Fu is known worldwide for his pioneering surgical techniques to treat sports-related injuries to the knee and shoulder and his extensive scientific and clinical research in the biomechanics of such injuries. He performs surgery at University of Pittsburgh Medical Center and sees patients at the Center for Sports Medicine. Because of his reputation, Dr. Fu attracts both athletic and non-athletic patients from all over the globe and has been featured in several publications. In response to increasing enrollment and curricular evolution, two Vice Chair positions for faculty have been established in the Department of Chemical and Petroleum Engineering at the University of Pittsburgh’s Swanson School of Engineering. Taryn Bayles, PhD, will become the Vice Chair for Undergraduate Education, and McGowan Institute for Regenerative Medicine affiliated faculty member Robert Parker, PhD, will become the Vice Chair for Graduate Education. Dr. Parker served as the Department’s graduate program coordinator from 2006 – 2012. He will be responsible for building the graduate program quality and diversity, with a focus on engaging the post-graduate community. Dr. Parker joined the University of Pittsburgh faculty as an Assistant Professor in 2000 and was promoted to Professor in 2014. His research program focuses on systems medicine and the use of mathematical models in the design of clinical decision support systems. 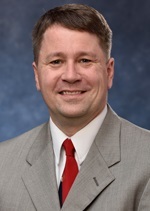 He has been recognized for excellence in education through awards such as the Carnegie Science Center Excellence in Higher Education Award, the David L. Himmelblau Award from the Computing and Systems Technology (CAST) Division of AIChE, and most recently the 2017 Swanson School of Engineering Outstanding Educator Award. His commitment to a collaborative future in graduate education formed the basis of two funded Department of Education Graduate Assistance in Areas of National Need (GAANN) training programs, as well as the Systems Medicine Research Experiences for Undergraduates (REU) program. In addition to developing graduate-level training programs to support PhD students, Dr. Parker will lead graduate admissions, manage PhD timelines including qualifying examinations, support graduate recruiting, work with the Swanson School Office of Diversity to continue building a diverse graduate program, serve as the faculty advisor of the Department’s Graduate Student Association, and manage faculty teaching assignments. McGowan Institute for Regenerative Medicine affiliated faculty member Rory Cooper, PhD, FISA & Paralyzed Veterans of America Chair and Distinguished Professor of the Department of Rehabilitation Science & Technology, University of Pittsburgh, has been confirmed as a keynote speaker at the VISTA 2017 Conference in Toronto, Canada. The VISTA conference, an International Paralympic Committee biennial event, is this year hosted by the Canadian Paralympic Committee and the Canadian Sport Institute Ontario. It is designed to provide a platform for sport scientists and researchers to meet with experts in the field of sport for athletes with impairments to discuss, exchange, and gain advanced knowledge in this area. It was first held in 1993 and has since developed a global reputation for acting as a platform for debate, discussion, and dialogue on key issues relating to the growth of the Paralympic Movement. 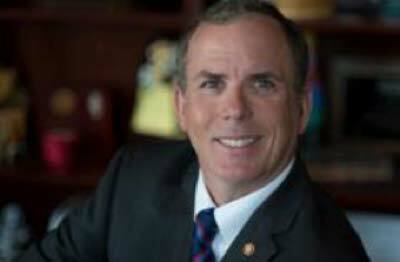 “I am honored and excited to be the keynote speaker. VISTA is an important and highly regarded conference, bringing people together from around the world,” Dr. Cooper said. #172 –– Dr. David Kohn is an Associate Professor in the Department of Biomedical Engineering at the University of Michigan. Dr. Kohn discusses his research in pancreatic biomimetrics and biomineralization of bones and teeth. 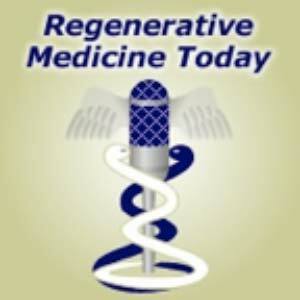 Visit www.regenerativemedicinetoday.com to keep abreast of the new interviews. The Picture of the Month is a compliment to the longstanding features Grant of the Month and Publication of the Month. Each of these features highlights the achievements of McGowan affiliated faculty and their trainees. As we have always welcomed suggestions for grants and publications, please also consider submitting images that can highlight your pioneering work. Super-resolution image of primary neuron from wild-type mouse cultured for 21 days. Transfected at 7 days in vitro with mitochondrially targeted red fluorescent protein (red) and cytoplasmic green fluorescent protein (green). Image acquired at 100x. Summary: Introduction: Surgery, a crucial therapeutic modality in the treatment of solid tumors, can induce sterile inflammatory processes which can result in metastatic progression. Liver ischemia and reperfusion (I/R) injury, an inevitable consequence of hepatic resection of metastases, has been shown to foster hepatic capture of circulating cancer cells and accelerate metastatic growth. Efforts to reduce these negative consequences have not been thoroughly investigated. Drag reducing polymers (DRPs) are blood-soluble macromolecules that can, in nanomolar concentrations, increase tissue perfusion, decrease vascular resistance and decrease near-wall microvascular concentration of neutrophils and platelets thereby possibly reducing the inflammatory microenvironment. We hypothesize that DRP can potentially be used to ameliorate metastatic capture of tumor cells and tumor growth within the I/R liver. Description: The overall goal of this project is the development and preclinical testing of a tissue engineered trachea for use in pediatric patients. The natural growth of pediatric patients requires that an engineered tissue or organ vital to life must “grow” with the patient. The present project will design, develop, and test in preclinical models, a bioengineered trachea consisting of naturally occurring extracellular matrix (ECM), as a scaffold, that is custom manufactured by 3D printing (Feinberg Laboratory, Carnegie Mellon University). The combined expertise of the Badylak Laboratory, which will acquire and prepare the matrix materials, with the Feinberg Laboratory that has expertise in 3D printing, will produce engineered tracheas that will be tested in a rapidly growing porcine model at the McGowan Institute for Regenerative Medicine. The project is milestone driven and consists of two years of development followed by three years of testing. During the R21 phase of the project, first two years, the Badylak Laboratory will acquire porcine tracheal tissue, perform decellularization procedures, and provide the Feinberg Laboratory with decellularized tracheal cartilage rings, and a “pre-gel” form of the soft tissue harvested from the trachea. The Badylak Laboratory will conduct in vitro cytocompatibility studies and evaluate the ability of respiratory epithelial cells to attach, survive, and proliferate on the luminal surface of the 3D engineered tracheas produced in the Feinberg Laboratory. During the subsequent three years (R33 phase), the Badylak Laboratory will utilize engineered tracheas supplied by the Feinberg Laboratory to the surgical procedures using the pig model. The engineered tracheas will be implanted in the recipient pigs and survived for periods of time ranging from weeks to nine months. The Badylak Laboratory will be responsible for supplying raw materials to the Feinberg Laboratory for production of the engineered tracheas.